In the Jackson or Chelsea Michigan areas; look for Great Lakes Window Cleaning; the overwhelming favorite choice of homeowners and businesses in Mid-Michigan. We LOVE the inspiring and uplifting feeling of sparkling clean home windows! 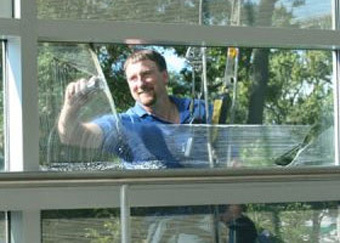 Our residential window washing specialists serving the Jackson area are courteous, careful and well trained. We will respectfully care for your home’s windows and protect your landscaping and furnishings. From the smallest details of your restaurant or store front to the tallest high-rise, we carry the experience and equipment to complete any window cleaning job in the Jackson and Chelsea Michigan area quickly and efficiently. For your peace of mind; we are fully licensed, bonded, and insured. Off Your To-Do List… FOREVER! We have the permanent solution to the on-going problem of dirty windows. 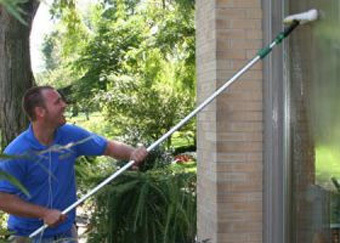 Sign up once and your windows will be automatically cleaned for as long as you want them clean. You will never have to think about it again – just sit back and enjoy your view. We know you’ll LOVE the convenience!